Both teams will play on the back pitches at the famous national stadium in Edinburgh at 2pm when they take on The Royal High School and Galashiels Academy in the Bowl and Plate finals, respectively. In all, seven finals will be played on the day - four at the younger age group and three at the older age group - with the Cup finals being played on the main pitch within the stadium at 6pm and then 7.45pm. “The bulk of the team come from, Campbeltown and Tarbet, but four boys from Islay have stayed overnight, spent hours travelling and taken early morning ferries to make sure they have been available for every tie to get to this point. “Their families have probably also spent hundreds of pounds to make it happen and on Sunday just there, we had a training session in Lochgilphead which meant they left Islay early in the morning and did not get home until about 8pm. “Due to the lay out of things here, even if we have a home game in Campbeltown, the lads from Lochgilphead have to travel an hour, the Islay contingent travel half an hour after a two-and-a-half-hour ferry and I need to get there from Oban so we are all making sacrifices to make the team work. 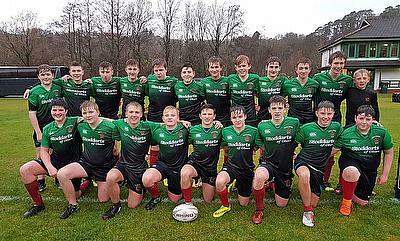 “For the final, everyone will be travelling down in force and with the Oban High School team - which includes some players from Tobermory High who also clock up some miles – we will be there for this showpiece occasion for schools rugby and it gives us a great platform to showcase the sport and its growth in Argyll & Bute. “Also on Wednesday, we will see Scottish Rugby president Dee Bradbury who is from Oban and we are hoping that Scotland international Magnus Bradbury [Dee’s son who came through the ranks at Oban] will also be there and that will give the boys some inspiration. Come along and support your Boys Schools Cup Finalists at BT Murrayfield on Wednesday 5 December! In the last eight, they defeated St Thomas Aquinas from Glasgow 47-7. Euan MacArthur, Kyle Colville (2) and Aaron McAlister scored their tries in the victory. With 50-60mph winds and torrential rain forecast, it was never going to be a straightforward plan for two sides involving both players from the Isle of Mull and the Isle of Arran. Despite the weather, the underfoot playing conditions at Gencruitten were suitable for the game. 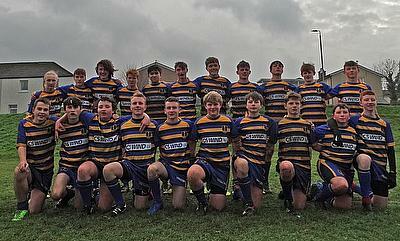 Even with the rain and wind, both sides worked hard against the elements to produce an entertaining game of rugby.